We started to deal with professional tools and garage equipment at the beginning of 90ths . 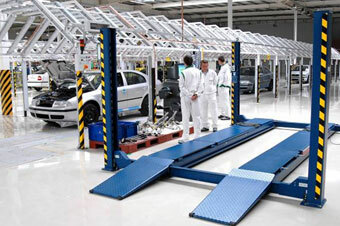 As unassisted company JSC Automechanica was registered in 1996, Kiev. For 12 years of work Automechanica’s team created the strong and original organization and took leading positions among operators of professional garage equipment and tools in the national market. Unique solutions and proper engineering have allowed the generating of individual approach to realization of many projects. Today Automechanica is the group of companies with the solid experience, high quality specialists and with thousands of realized projects. This chapter is most interesting for practical person – here you can see REAL PROJECTS and REAL RESULTS – new service stations in Ukraine. Go to Gallery of Projects.